Sometimes you have to be a tool using animal. 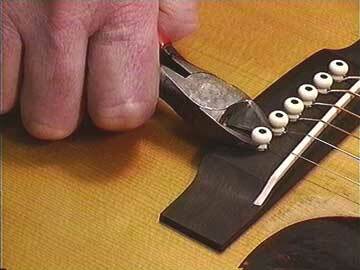 . .
Bridge pins are little but they can can be really difficult to get out of their holes. 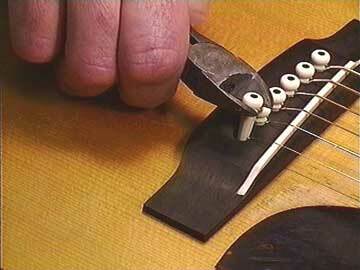 Here are couple of safe and easy ways to do the job. 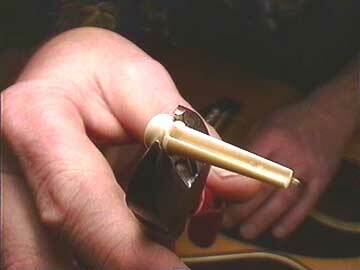 It's a simple thing, and it can often release the wedged string and bridge pin. Most of the time that's all it takes. 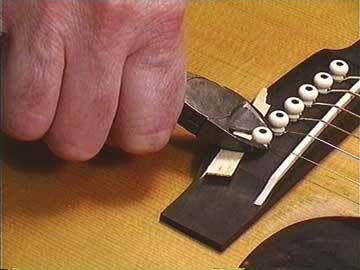 Prying this way gives you terrific leverage, and it's possible to break the pin in half, so it pays to be careful. 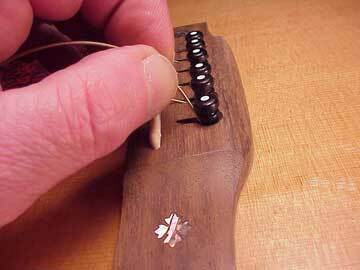 If it seems likely to break, try pushing the string and pin back down together to release the string, then pry again. 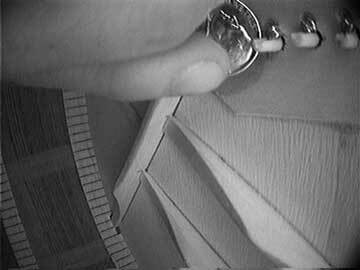 While they don't work in as many different situations as the diagonal cutters, these plastic pry devices do afford a better sense of safety. 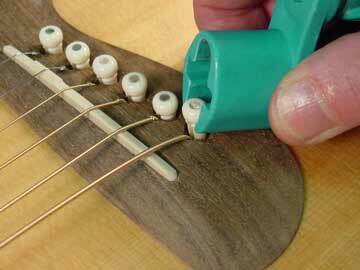 . .
Now you're ready to restring!